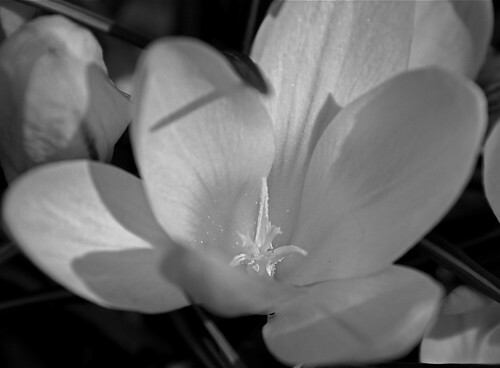 As I putter aroud the yard, I have spotted quite an array of things a'popping out there. 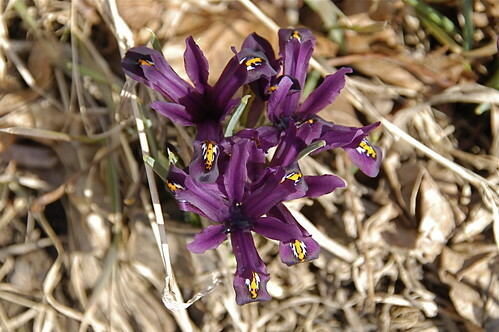 In addition to the crocus which are in full bloom, the siberian iris are also in bloom. 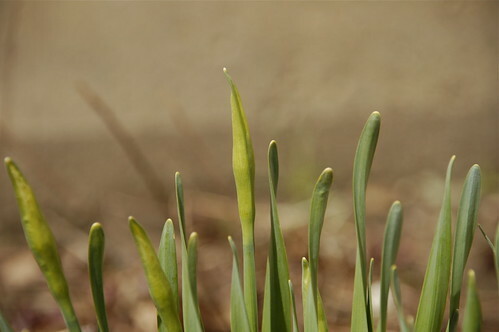 The daffodils are well on their way to blooming. Two weeks ago I predicted a month, but now I think they will bloom on Easter. They are definitely getting close! I also saw my first spider today. When I had primroses, I would see them in February because the primroses were burried under evergreen boughs for protection, and it would get really warm under there. Now, I have to look. 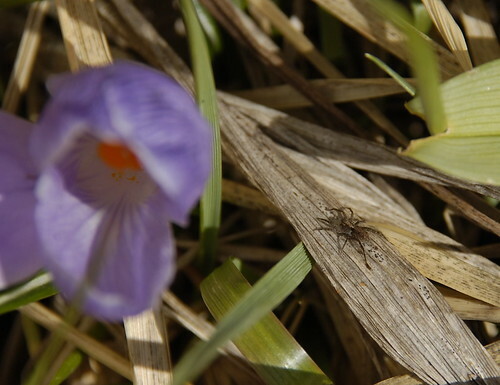 I also saw a honey bee working the crocus blooms two days ago! In addition to the blooming stuff, and weeds, I have the following sprouted: trillium, bleeding heart, chives, sedum, bearded iris, tiger lily, day lily, tulips, snow-on-the-mountain, mayapple, and of course the vinca is going full bore. I have not seen a hosta yet, but I suspect they are not too far behind.